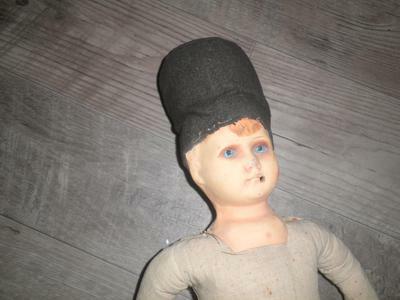 This doll was given to me from my Aunt who is now 83. It was given to her as a little girl. 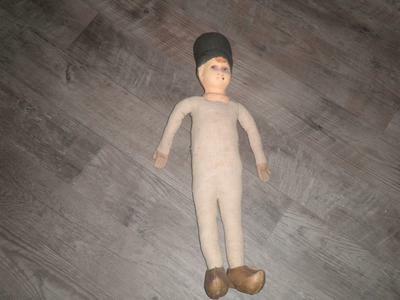 It has a black hat and a small circle type hole in its mouth maybe to hold a pipe I am not sure,it is approximately 28 in long, body is made of cloth not sure what the head is made of. 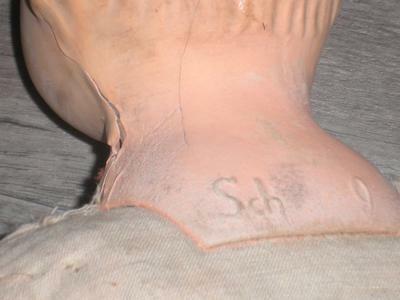 The shoes are gold in color with the capital initials on the neck SCH (see 4 pictures enclosed).